Did you get a chance to stop and smell the flowers last weekend? It is amazing to watch them go from tiny buds to fully open colourful carpets of life in your yard. Of course I have also noticed that the warm weather has brought out carpets of another flower in my yard. More specifically, the field of yellow is a sea of dandelions that is competing with the newly green lawn. I remember picking dandelions as a child and chanting the ominous little ditty “Mama had a baby and its head popped off”, as I popped the end of the flower off of its stalk. A bit macabre, but it filled hours of entertainment for all the neighbourhood kids and potentially eradicated at least a few new weeds in our parent’s lawns. Nowadays though, most North Americans first response when they see these infamous yellow flowers is to grimace. It used to be that you would get out the weed killer and spray those little buggers out of existence, but since 2009 cosmetic pesticides have been banned in Ontario. That means that if you want to get rid of the virulent Taraxacum invasion in your yard, you have to other means. 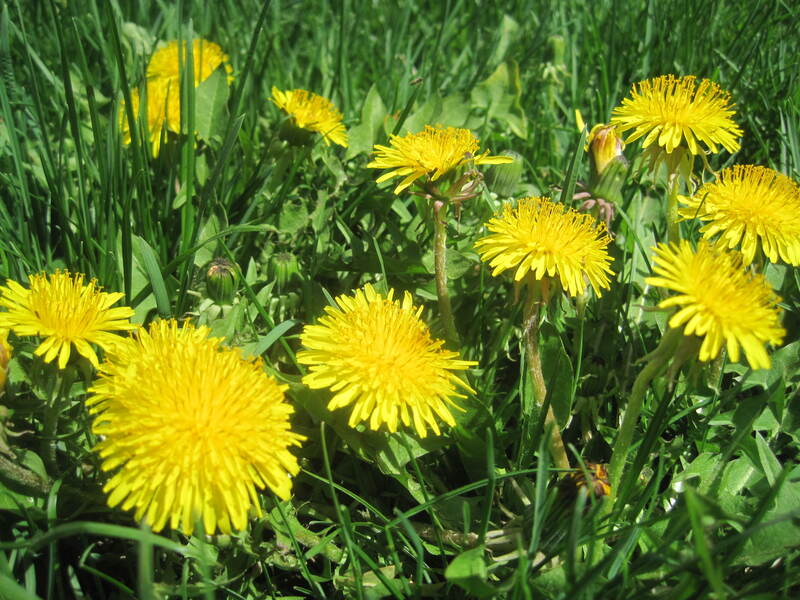 The obvious, but extremely time-consuming answer is to dig the dandelions out of your yard. Cutting them down with the lawn mower might remove the flower head and some of the long, tooth-shaped leaves, but you have to get to the root of the problem. Literally. Because even if you shear the plant to the ground, this perennial plant will keep coming back year after year. That is unless you pull the dandelion out, tap-root and all. And those tap-roots can be 15 cm or longer. You will need a ‘dandelion digger’, or a simple trowel (if your back can hack it). Your only other ingredient is time to dig them up. If digging dandelions doesn’t sound like your cup of tea, there are some other options to get rid of those pesky plants. Dandelions need plenty of sunlight to grow. If you smother them, cutting off their source of sun, you will kill the flower. Of course if your yard is overrun by them, you will also be effectively killing the grass around them too. Think of this as a small-sized solution or conversely, a wide-reaching one. You can also pour boiling water over the plant several times a day until it dies. Vinegar also works to clean your world inside and out. Spraying vinegar on a dandelion plant works as an effective natural herbicide that won’t harm the soil or contaminate ground water. There are a few other methods to combat your battle with dandelions. One is to over-seed your lawn. This simple step not only improves the health and look of your lawn, but it also chokes out weeds, making it harder for them to flourish. Another tip that lawn care companies will gladly suggest is to improve the quality of your soil. Dandelions love acidic soil. If you improve your soil with mulch or compost, dandelions get weaker and less likely to thrive or take root in the first place. As a bonus, this also makes them easier to pull out! Of course you could also learn to love the prevalent weed. They do make for sunny spots in amongst the green grass in the spring. They are also edible, from their roots, to bitter leaves, to brilliant yellow flowers. You can add leaves to your salad for a dash of calcium and iron. They also contain vitamin A, B complex, C, D, potassium, and even zinc. Plus, they are low in calories! The common dandelion has even been used in various herbal remedies, such as being used as a diuretic, stimulating appetite, aiding digestion, detoxifying the liver and gallbladder and just generally improving the immune system. Not bad for a plant that most homeowners consider a scourge on their property. So if you break down and pick a pack of dandelions this spring, why not think of taking them to the kitchen, instead of depositing them in your local yard waste bags. 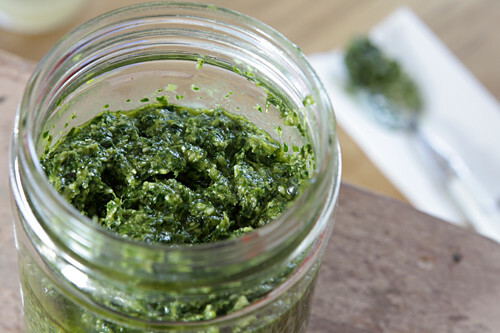 This recipe for dandelion pesto from David Lebovitz, just might help to sway you in leaving at least a small pocket of yellow in your yard, if not for your children than at least for your culinary taste buds. Enjoy! Good luck with your (delicious/dastardly) dandelion dilemma! Brace yourself London. While you might have seen the sun today, it’s not going to last. In case you haven’t heard, rain is on the way. And not just a drop or two. Oh no, they are suggesting that we have the chance of receiving upwards of 100 mm of precipitation, with maybe even a snowflake or two thrown in on Thursday and Friday. Nice. 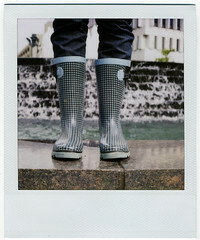 If you don’t have galoshes, better buy some when you are out getting that new umbrella. 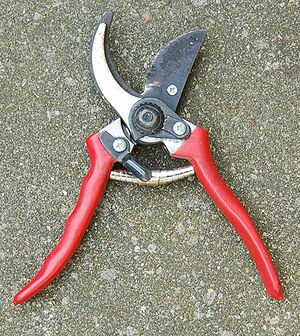 When pruning plants the general rule is to only cut about 1/3 of the plant at any given time. Remove any dead or damaged branches and trim the longest ones to encourage new growth. 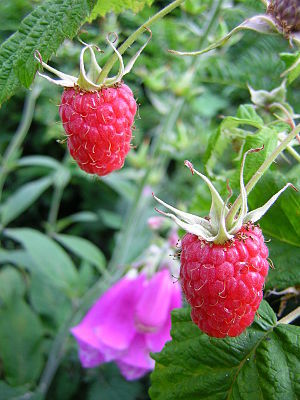 Summer-bearing raspberries should have any weak, diseased and damaged canes removed to the ground. Trim any damaged tips. 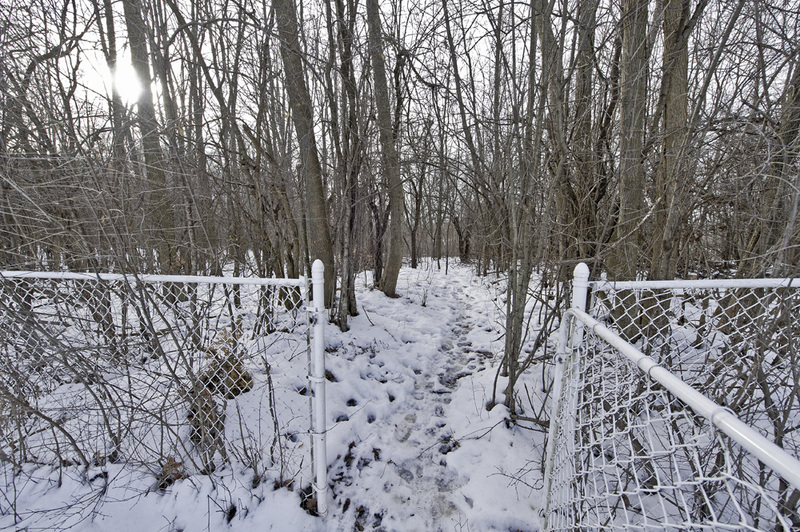 While you have your pruning shears out and sharp, inspect any trees on your property. Prune any that show signs of disease or winter damage. Also consider air flow and prune out any branches that prevent proper circulation or that are weak or spindly. Spring will sprung eventually folks. It has to one of these days! Lovely. Another storm watch. They are predicting 15-20 cm of snow to fall in Southwestern Ontario from tonight through to tomorrow. If you have to go out, drive carefully, as it will be a wet mix with rain intermixed into all that snow. Not looking forward to the morning commute, I can tell you. Just another winter day in Canada. Ah, but there is a bright spot in all of this. If you take a peek into your local garden centre, a sure sign of spring is already there in the form of seed packets! 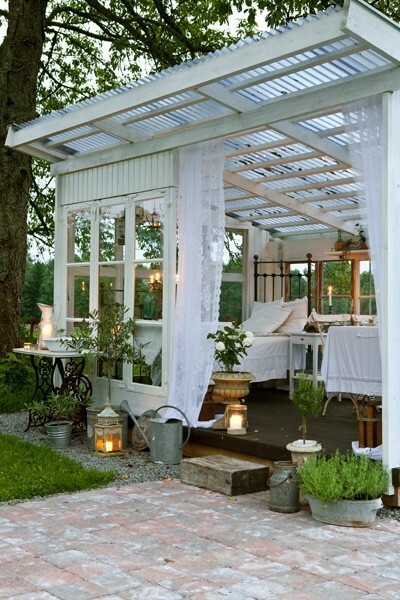 If you are an avid gardener at heart, now is the time to start planning this year’s garden. 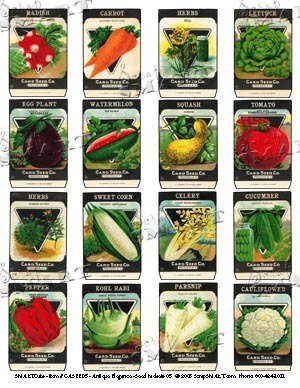 That means ordering seed catalogues and deciding how many plants to start indoors to get a jump-start on your garden. You can save time and money by starting your own seeds indoors and all it really takes is a bright spot in your home. 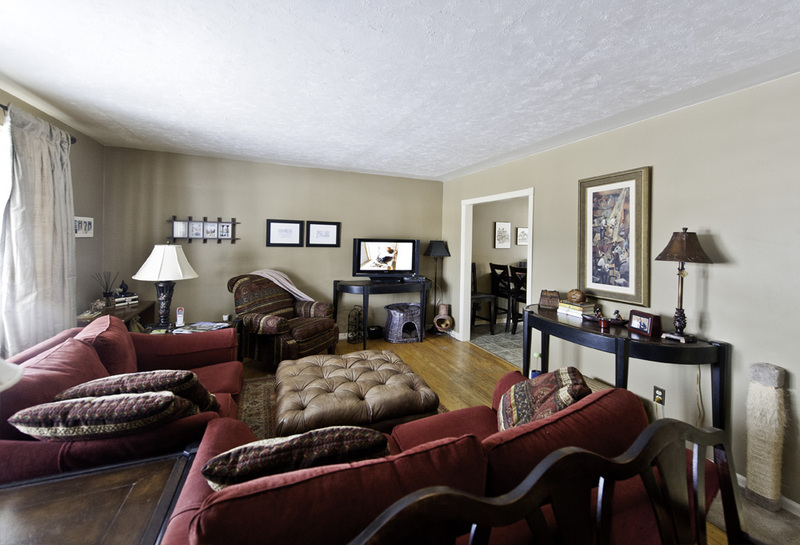 If natural light is at a premium in your house, then fluorescent lights will do the trick as well. Once you have your growing medium and the pots to grow the seeds in, then all that is required is a little water and you are off to the races! 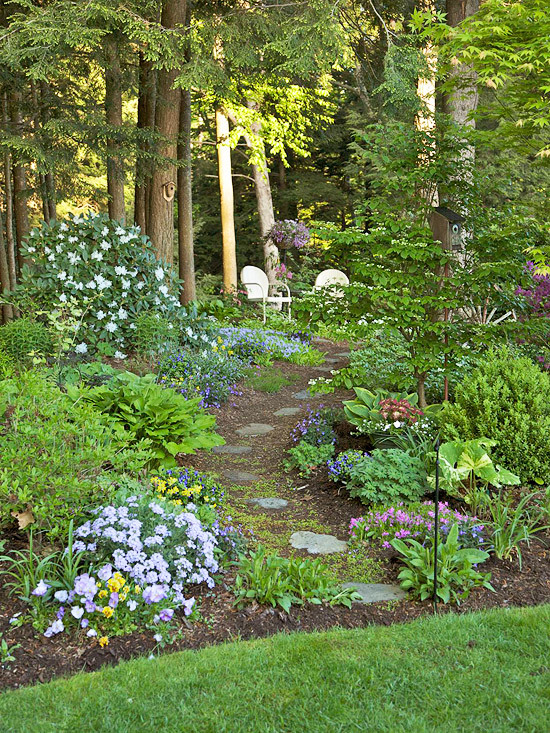 Do you want to grow annuals (live for one season) or perennials (return every year)? If you are thinking of seeds, annuals are the easier choice. Are you wanting edible plants or flowers/grasses? They often have very different propagation time periods, so set a time-table for your sowing schedule. If you are looking to start fruits or vegetables, how many people are you planning to feed with them? You only need as many plants as per people you will be feeding, so plant your seeds accordingly. No need to have 20 plants producing enough food to fee your neighbourhood, when you have a family of three to provide for. When is the last frost date for your area? Depending upon the plants that you grow, you need to know when the last frost will occur in your area (approximately). Planting seeds too early might leave you with leggy specimens that don’t stand a chance once they reach the outside world. Calculate how long before planting you need to sow your seeds, then count back from the projected frost date. That is when to plant them. Are you planting more than one thing? More than likely you are, so make sure to label everything! Seedlings tend to look alike when they first come up, so do yourself a favour and write on a popsicle stick, on the container or whatever else is handy to make sure that you know what you have on your hands a few weeks after planting your seeds. Once it is time to take your seedlings outside to transplant, don’t forget the most important thing – harden them off! 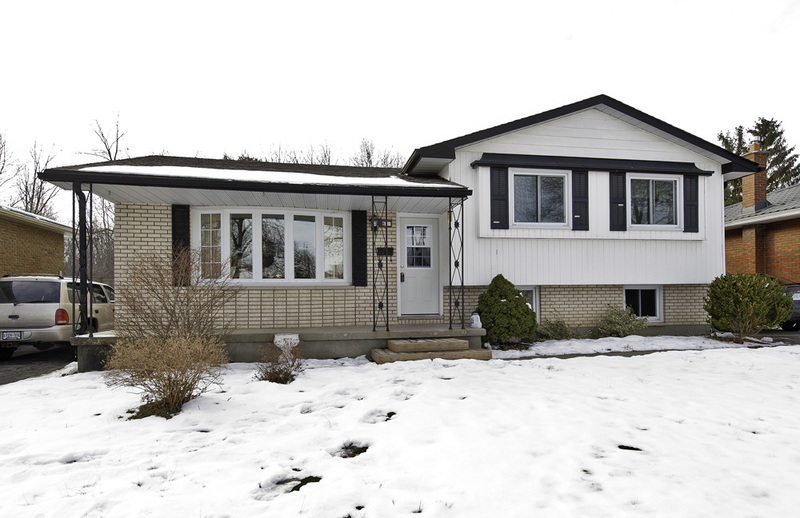 The atmosphere between your house (fairly uniform) to outside can differ greatly. Slowly acclimatize them to the outside sunshine and temperatures gradually, or else all your efforts will be for naught. What is your best advice for the novice seed gardener? Any tips and tricks to help everything go and grow smoothly?